We will travel through the journey of setting up a new company file in Excel and QuickBooks, comparing and contrasting the process in both. 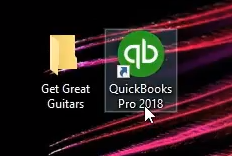 These presentations will work a comprehensive bookkeeping problem, both within Excel and Quickbooks, Excel having the advantage of being more transparent, allowing us to see all the components of the process; QuickBooks having the advantage of being able to use forms and simple data input to quickly and easily generate the end product, the financial statements. We will work each component of the problem in Excel first and show how the same process can be done in QuickBooks. First, we will set up a new worksheet in Excel and compare that to the setup process of a new company file in QuickBooks. When setting up a new company file in QuickBooks one of the first things QuickBooks generates is a chart of accounts like the one below. The chart of account is the first thing we will set up in Excel. 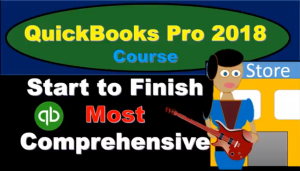 Note that the setup process in QuickBooks generally involves a shortcut, QuickBooks generating a chart of accounts based on the industry we select. The chart of accounts is not perfect but is often a good starting point. For more information about QuickBooks take a look at our comprehensive course. Get more information by clicking the image below. Note that the chart of accounts is not ordered by alphabetical order but by account type. On a general level, the order of accounts will always be asset type account, liability type accounts, equity-type accounts, income type accounts, and then expense type accounts. Each account type will have more subcategories. For example, assets will be broken down into cash type accounts, accounts receivable type accounts, current assets, and other assets. We will need a similar ordering when entering our chart of accounts into Excel. 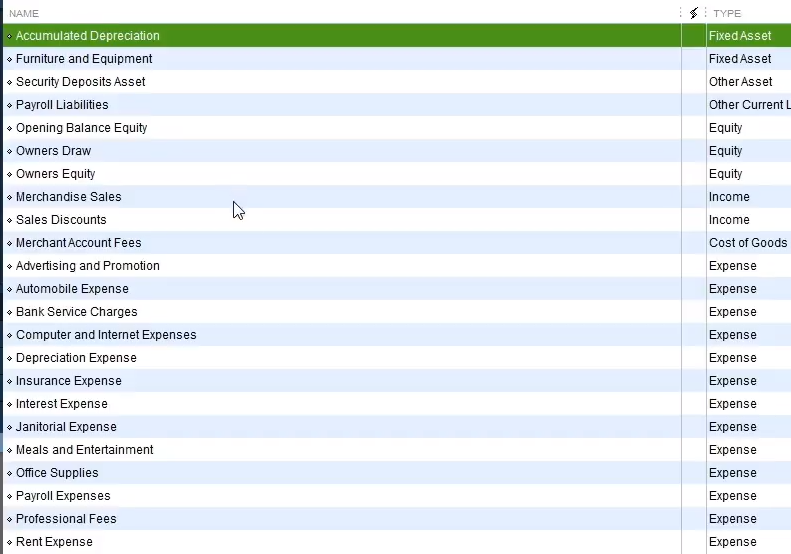 Below is an example of a chart of accounts generating in Excel. We have listed half the accounts on the left followed by half the account on the right to save space. 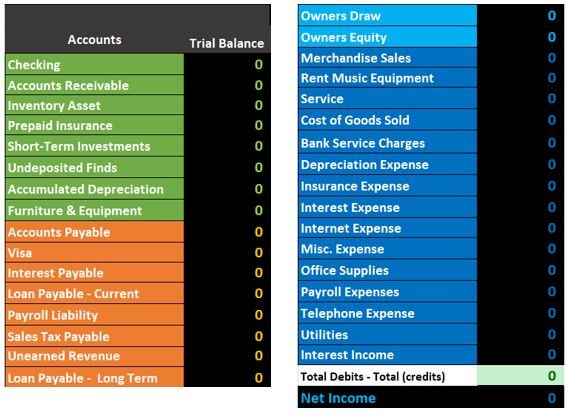 Note the same ordering of the accounts, assets first in green, followed by liabilities in orange, then equity in light blue, and revenue followed by expenses in navy blue. This chart account is the starting point for entering data into our Excel worksheet. 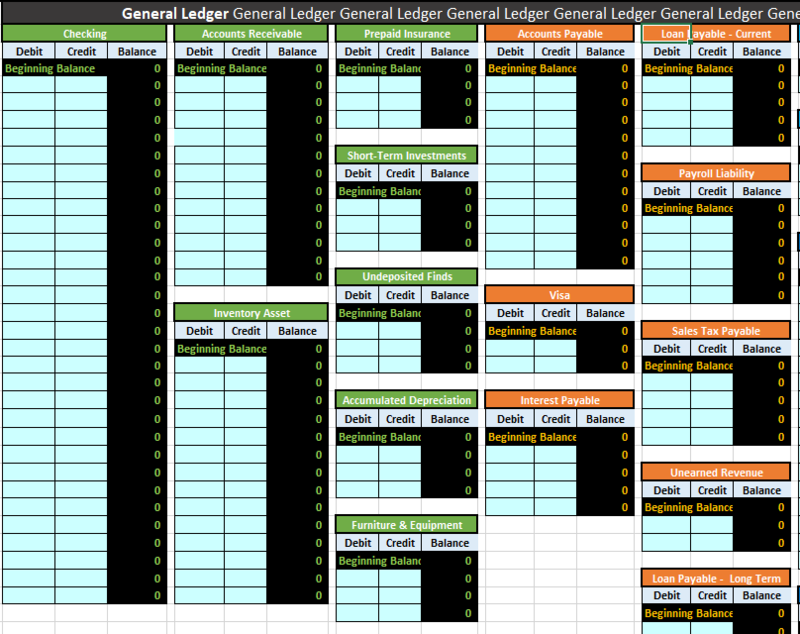 We have also set up a general journal and a general ledger. Below is an example of the general journal. 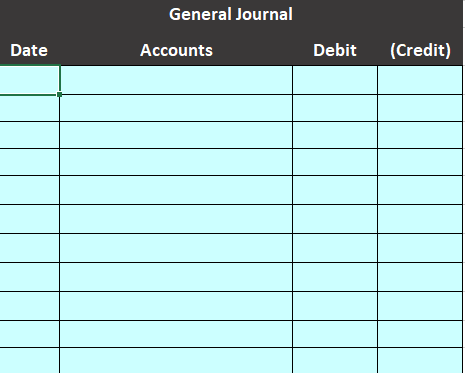 The general journal will just be an area for us to enter our journal entries, journal entries that include date, accounts, and debits and credits. Below is an example of the general ledger. The general ledger can be intimidating because of its length, but it is just another list of accounts, the same list as the chart of accounts, in the same order of assets, liabilities, equity, income, and expense. The difference is that the general ledger will provide more detail, provide the activity in order by date of the transaction. 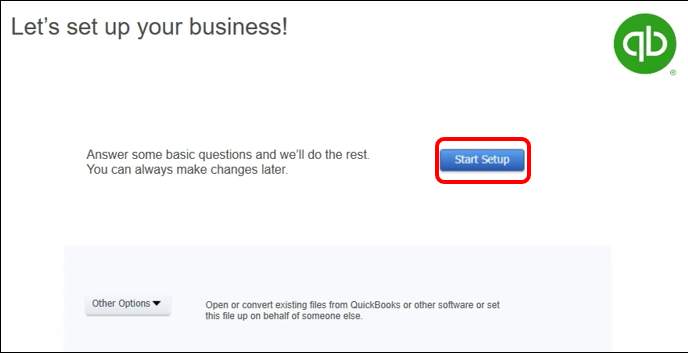 Next, we will take a quick look at the setup process for a new QuickBooks file. First, we will run the QuickBooks software. 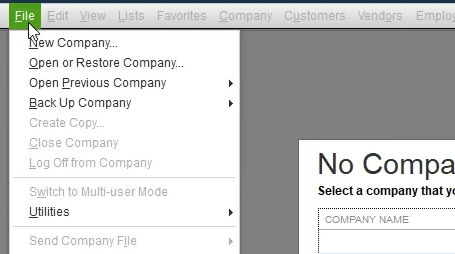 We will then select the file dropdown and new company. 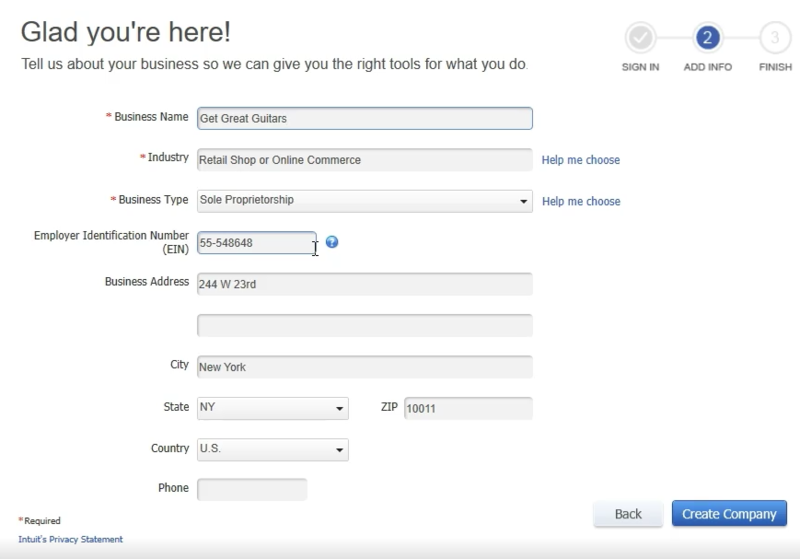 QuickBooks has a few options for setting up a new company. We will chose the start Setup option. Next, we enter company data. Note that we have chosen the industry of retail shop or online commerce. QuickBooks will use this information to provide us with the chart of accounts, QuickBooks guessing which accounts will be needed based on our industry. The startup process above is all we need to do for QuickBooks to set up a basic chart of accounts and get up and running. For more information about QuickBooks take a look at our comprehensive course. More detail at the link below. Click the image for more information. Once we understand the normal balance of an account, represented by the image below, there is only one rule we need to know to make an account go up or down. The rule to make an account balance go up or down is: do the same to go up and opposite to go down. The rule of, do the same to go up and opposite to go down, may seem abstract at first but once we have the normal balance cheat sheet above it is easy to apply. The one rule means that an account with a normal debit balance will be increased by another debit because a debit is the same thing as the normal account balance and an account with a normal credit balance will be increased by a credit because a credit is the same thing as the normal account balance. Conversely, an account with a normal debit balance will be decreased by a credit because a credit is the opposite thing as the normal account balance and an account with a normal credit balance will be decreased by a debit because a debit is the opposite thing as the normal account balance. Like most thing, the one rule is best learned through doing, by running through examples of transactions again and again. Fortunately we have some examples of transactions here. Health Care Natural Right? Does it Matter to the Debate? Time = Money, Time = Love, Love ≠ Money ??? Although learning how debits and credits work is not an easy process, learning the definitions of debits and credits is and easy process. Debit can be defined as “recorded on the left side” (John J. Wild, 2015) and credit can be defined as “recorded on the right side” (John J. Wild, 2015). Note that these are partial definitions of debits and credits from the text, Fundamentals of Accounting, Wild 22nd, but they are the important parts, the parts that define what debits and credits are, the rest of the definition explaining what debits and credit do. The definition of debits as, recorded on the left, and credits as, recorded on the right, implies something to be recorded on, some kind of board, paper, account, or ledger. 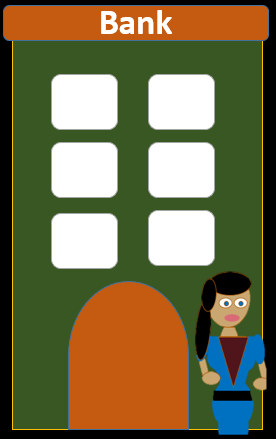 A T-account can be imagined as the board, or ledger, used to record debits and credits, the debits being recorded on the left, the credits being recorded on the right. When thinking about debits and credits in the context of financial transactions, entering financial data, and creating financial statements the definition above is the only definition we should have in mind. 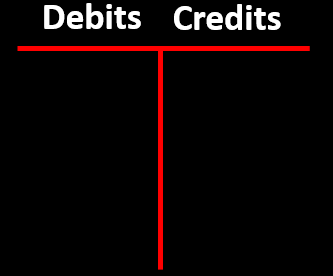 It is difficult to limit our thoughts and definition of debits and credits to the amount recorded on the left or right side of a T account, or ledger, reducing all notions of debits and credits to no more placeholders, similar to the black and red pieces on the checker board. The black and red pieces on a checker board have no real meaning, the pieces in no way holding the rules, or idea, of the game of checkers, but when we see checker pieces we think of much more than black and red placeholders. 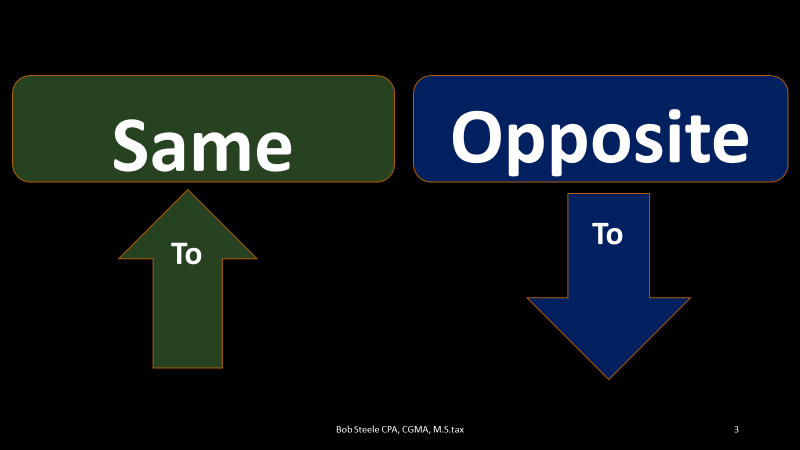 We think of the game and how it works. The same is true when we hear the terms, debit and credit, the terms often having a meaning to us which is so much more than the placeholders they actually are. 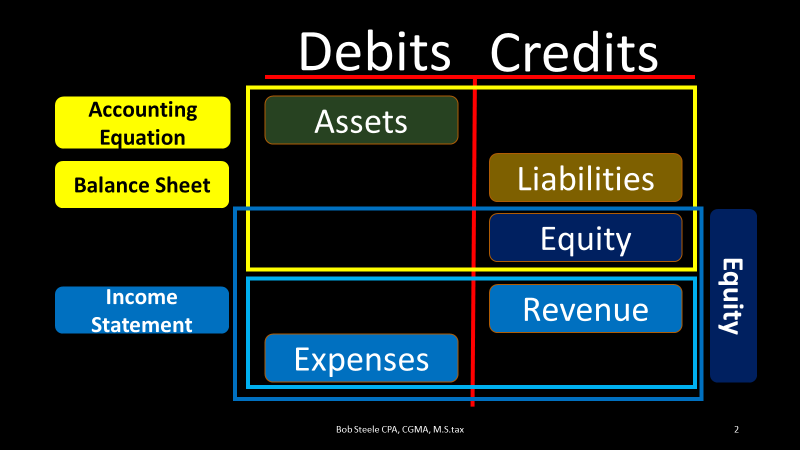 The difference between how the concepts of debits and credits relate to accounting and how the concepts of checker pieces relate to the game of checkers is that most of us learned how to play the game of checkers while also learning the definition of what checker pieces are, but most of us have not fully learned the game of accounting, although we have heard the terms of accounting pieces used in many different contexts, the accounting pieces being debits and credits. The fact that we have learned terms related to debits and credits apart, or outside, of the accounting game leads to false, or incomplete, understandings of what the words mean. When learning how to record accounting transactions, we need to get back to the core definitions, requiring us first to unlearn definitions we may have picked up in our lives, definitions which may not be complete. These definitions can be revisited and understood from a new perspective once we know how debits and credits are used to record transactions. An example of the term credit being used in a misleading, or incomplete, way is when we think about credit cards, credit terms, or a bank increasing our account with a credit. 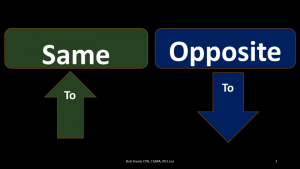 These uses of the phrase credit are derived from the original meaning of the word, the definition of the amount on the right side, but have come to mean different things to different people. 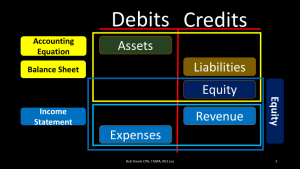 After we learn accounting transactions and see how debits and credits are used in them, we should revisit these terms to understand the origin and evolution of their meaning in different contexts. An example of how life experiences can lead to an incomplete understanding the terms debit and credit is a bank agreeing to eliminate a charge on a customer’s balance by saying they will credit the customer’s account. This transaction causes the customer to think of the term credit as a good thing, an increase in their checking account balance. While the credit does represent an increase to the client balance the accounting definition of credit is an amount reported on the right side of a T account or ledger, the bank reporting an amount on the right side of their ledger. When we see the bank statement, we see the bank recording credits as an increase to our account balance but from the bank perspective increases to our account balance are not assets but liabilities, representing the bank owing money to the customers. As we learn how to record debits and credits, the definition of debits and credits as just amounts recorded on the left and right side of a T account or ledger is another area we ask learners to have faith in the system, to trust that these simple definitions are correct. Having patience and holding back on spending too much time analyzing other preconceived definitions of debits and credits until after we have learned how to record transactions often helps prevent these preconceived definitions from slowing down the learning process. 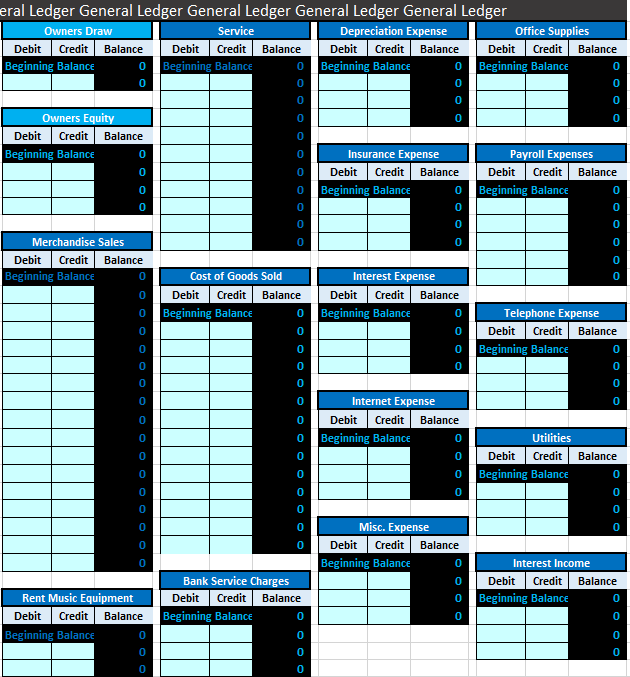 Once we understand the accounting game and how debits and credits are used to play it, we will be better equipped to fully understand any definitions we previously had about debits and credits and analyze how they line up and or fit within the definition of debits and credits. Is WHO YOU KNOW more important than WHAT YOU KNOW?